One of the best things about getting drunk is getting drunk food. Drunk food is a complete meal you can eat with your hands that fills you up and is served quickly. Certain foods taste better when you’re inebriated. 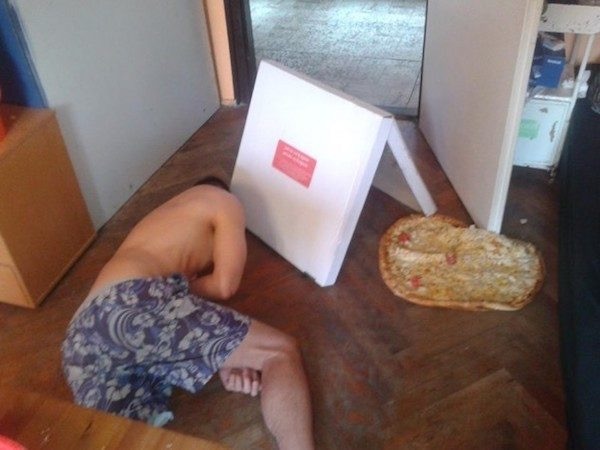 Pizza is always good, but it’s so much better when you’re drunk. A drunk burrito in between bars keeps your night going. Stumbling across a street vendor selling bacon-wrapped hot dogs will make you believe that God is real and wants us to be happy. Drunk food provides you with the much needed fuel to keep on drinking. It makes the party last longer. You know you had a good night when you find an empty pizza box on the counter when you wake up the next morning and no recollection of getting it. I’m not promoting binge drinking, I’m promoting eating food when you’re binge drinking. There’s a slight difference I’m sure.